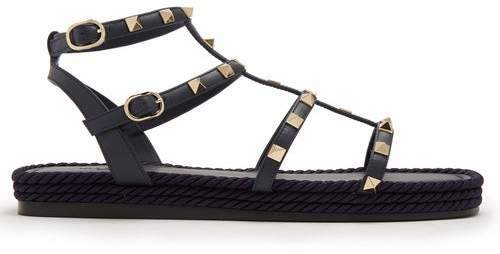 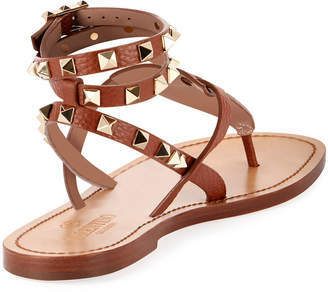 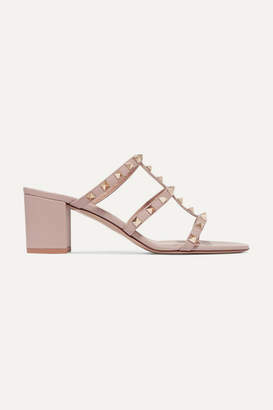 Valentino - Valentino’s navy Torchon sandals are decorated with pale gold-tone metal Rockstuds – this signature embellishment pays homage to the pyramid-shaped nails found on the ancient doors around the house’s native Rome. 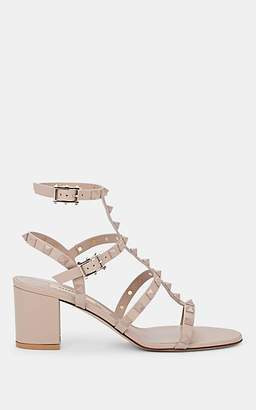 This open-toe pair is crafted from sleek leather and trimmed with satin ropes at the stacked wooden platform soles. 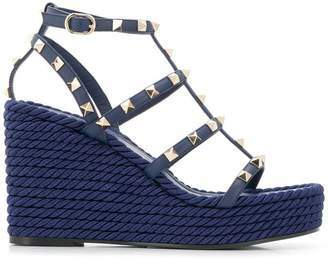 Let yours add an elegant edge to a block-colour dress.